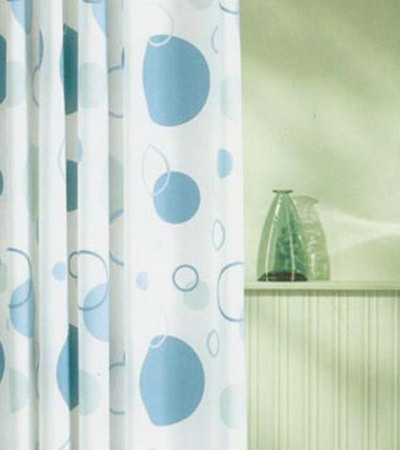 Before you begin, check that the fabric dye pens can be used on the shower curtain. two see-through shower curtains, or two pieces of PVC. some of the circles. Finish by colouring in some of the circles to make solid shapes. Allow the dye to dry. newspaper and three round objects.